Christmas lights galore! Drive through the park and view our beautiful Christmas light displays and over 2500 candle luminaries. Along your 3.5 mile drive through the park you will see planes, trains…and eagles! Be sure to stop by the former restaurant building to visit with Santa. One weekend only. No cost to drive through but donations are accepted and appreciated. 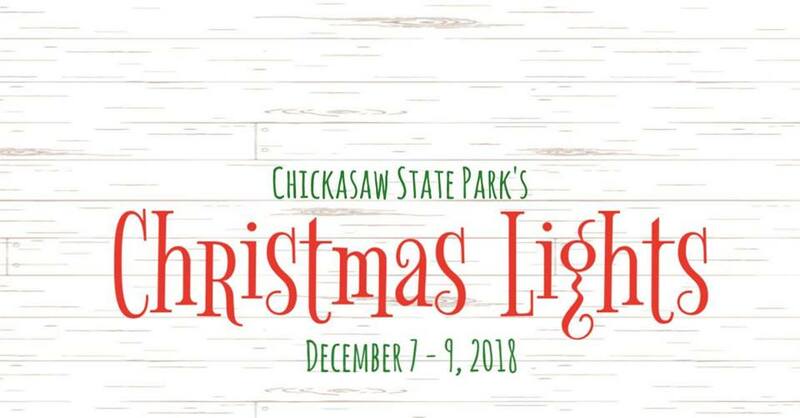 All donations go to the Friends of Chickasaw for park improvements throughout the year.